The National Nuclear Security Administration (NNSA) Nuclear Criticality Safety Program (NCSP) is chartered with maintaining the technical infrastructure necessary to ensure safe, efficient operations from a criticality safety perspective. The overall mission of the NCSP is accomplished through work tasks in the following program areas: Analytical Methods, Nuclear Data, Integral Experiments, Information and Preservation, and Training and Education. Oak Ridge National Laboratory (ORNL) has a leadership role in supporting NNSA in the management and execution of the NCSP. The presentation will provide an overview of the NCSP and discuss key aspects of the technical work being performed throughout the US to support criticality safety operations in the DOE Complex. Michael Dunn, Ph.D. is the Nuclear Data and Criticality Safety (NDCS) Group Leader in the Reactor and Nuclear Systems Division (RNSD) at Oak Ridge National Laboratory (ORNL). Dr. Dunn has 20 years of nuclear engineering experience in the areas of nuclear criticality safety (NCS), radiation transport and cross-section processing methods development. Currently, Dr. Dunn is the ORNL Task Manager for work performed for the U.S. Nuclear Criticality Safety Program (NCSP). In addition, Dr. Dunn provides support to the National Nuclear Security Administration (NNSA) in the management and execution of the US NCSP. Dr. Dunn has experience performing NCS analyses to support both DOE and NRC licensing application reviews, and he has significant expertise in NCS validation methods with application to NCS analyses. Dr. Dunn is a member of the SCALE software leadership team, and he is the primary developer of the initial continuous-energy KENO (CE-KENO) Monte Carlo software. 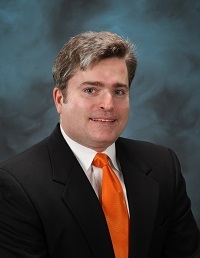 Dr. Dunn has significant experience with NCS analysis methods development and cross-section processing methods development to prepare nuclear data libraries for radiation transport software used in the nuclear industry.